EACOM is a responsible forest manager adhering to the best sustainable forest management practices, respecting federal and provincial laws, and ensuring third-party certification of the forests it manages. 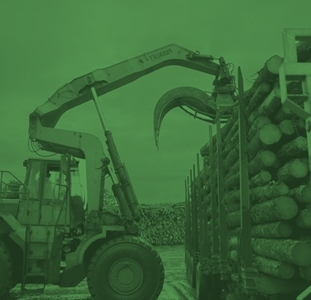 EACOM holds several certifications that confirm responsible forest management through international certification and labelling systems, specifically the Forest Stewardship Council® (FSC®) and the Sustainable Forestry Initiative® (SFI®). 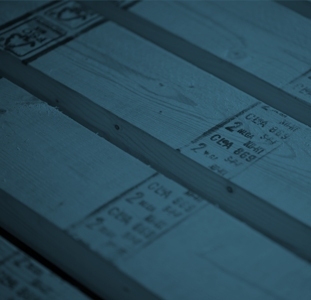 As a lumber manufacturer, access to abundant, affordable and secure sources of fibre is of critical importance. We share our forest resources with many other forest users, and we strive to work cooperatively with those who have a stake in the forest and to conserve forest resources for future generations. For example, EACOM is an active participant in planning groups & round tables with trappers, outfitters, environmental groups and government representatives for the purpose of constructively working toward upholding the best forest management practices. See EACOM’s Forest Policy (PDF). The fibre we consume originates from a variety of public and private forest territories. We strive to only acquire fibre from sustainably managed forests, and we take great care to consider the needs of other forest users. See EACOM’s Fibre Use and Sourcing Policy (PDF). Click here to view EACOM’s interactive forestry map.